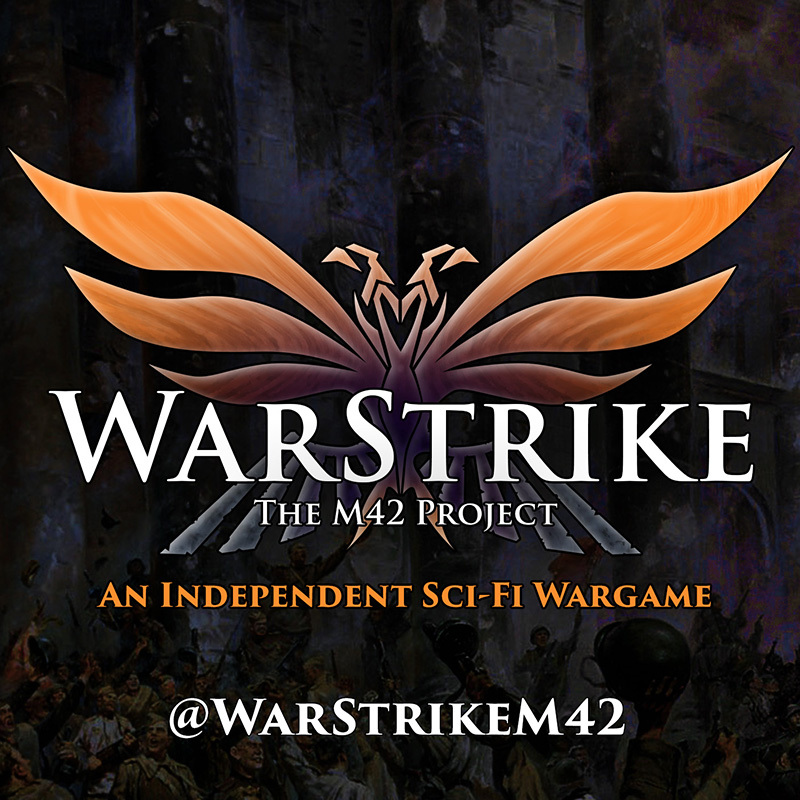 Just a quick update to say that we're on Facebook now, under the name "@WarStrikeM42". 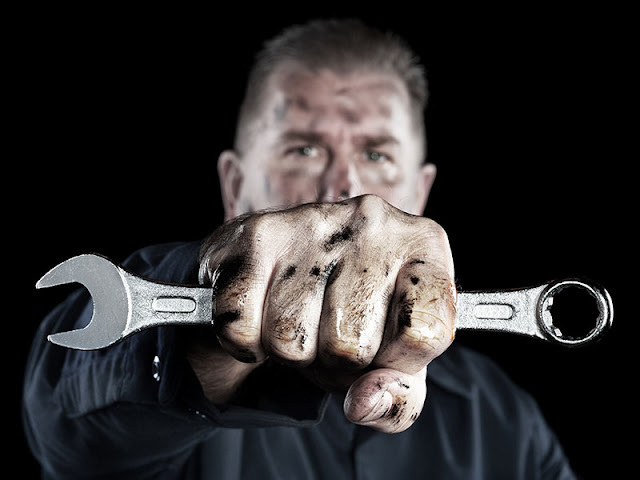 I've not been posting much to the blog because so much of the work I'm doing now is little edits that would take longer to write a post about than the changes themselves. Facebook is a better place for quick updates that aren't limited to a small paragraph (like Twitter). Plus I'm planning on doing some videos going forward, and that's a better place to reach people with them. All that said, I will be posting a summary to the blog of what I've been up to in the last month later this week. Whew! That was an exhausting week! So were the weeks of work leading up to it! 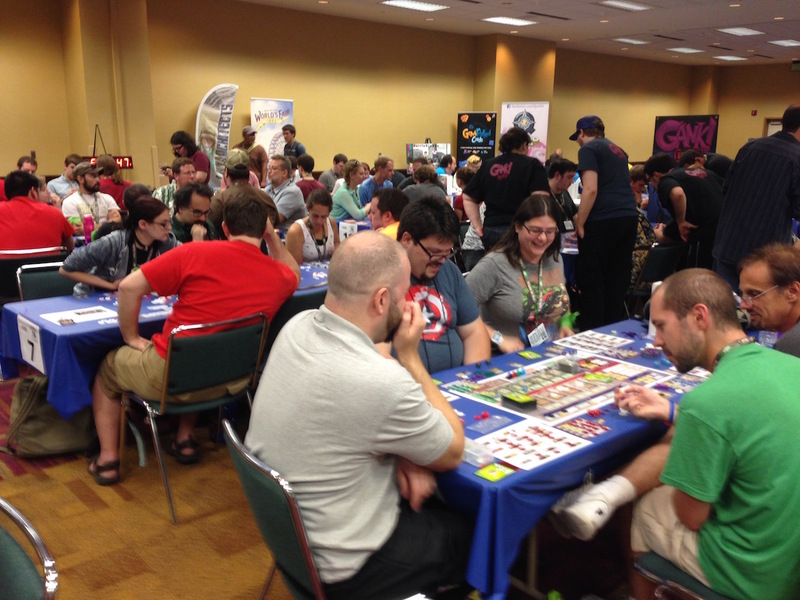 But in terms of Playtesting WarStrike, our Gencon adventure was VERY productive! 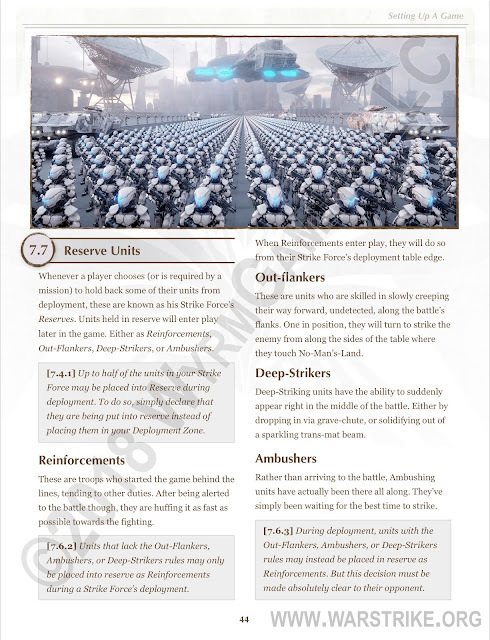 We only found a few minor potential rules bugs, and two of the test groups had some very interesting feedback about how we might appeal to a wider audience than we had originally planned for. 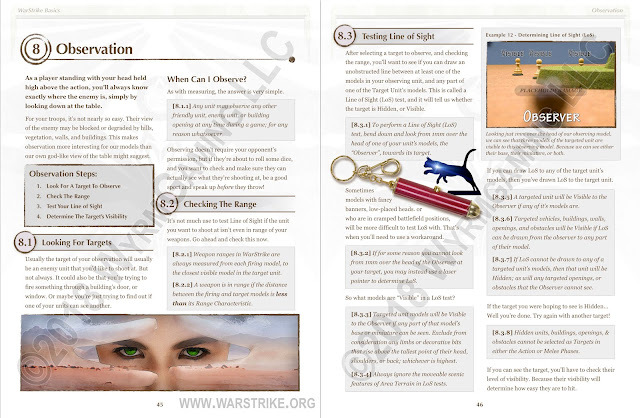 It was a slog, and I'll be doing a little more work on these after Gencon to brighten them up for use in the rulebook. But I got 49 test minis, for two opposing test forces, done to better-than-tabletop quality in just 10 days. With fully flocked (and bottom-felted) solid-resin bases that aren't going to slip off of whatever terrain they're placed on. Our demo times for the First Exposure Playtest Hall have been finalized. There were no changes, so the times that I reported before are the same as on this screen graphic that I provided to the organizers. 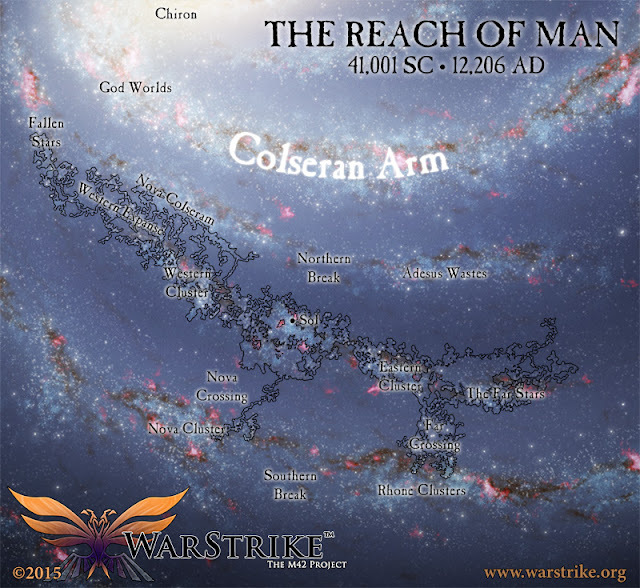 We're now at the week-and-a-half mark before Gencon. I finished up the rules for the next pre-alpha last Wednesday, but I'm holding back on releasing it for now. First because I'm busy painting up minis and terrain for GenCon, and second because I want to work up some generic unit and weapon stat-lines for the major factions. Since some of you have commented that you can't test the rules with the models you have. That's fair. Gencon's just 3 weeks away! Three pages. I had just three pages left in the Action Phase to revise and I thought I was done. Then, like a Rubik's Cube when you can't get the last 2 squares to line up right, I found myself revising parts of other rules sections so that I can come back to the Action Phase. This phase was a real pain to edit. 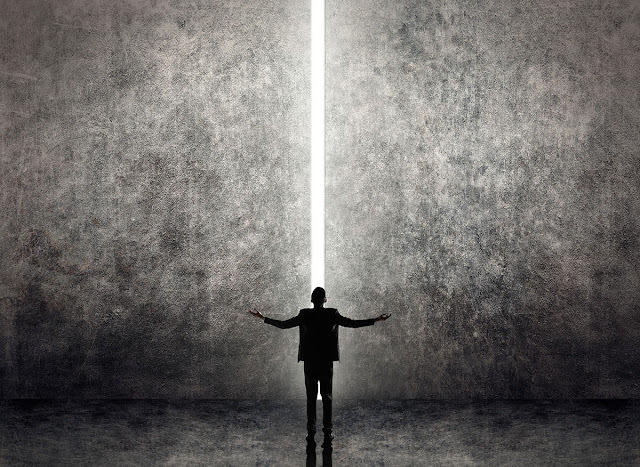 Between the rules-lawyer holes that Stelek found, the new rules for Overwatch and stunned models, the need to properly separate and interlock the new reserve rules across three different sections, AND the need to simplify the existing building/obstacle rules... This one's been a bear. 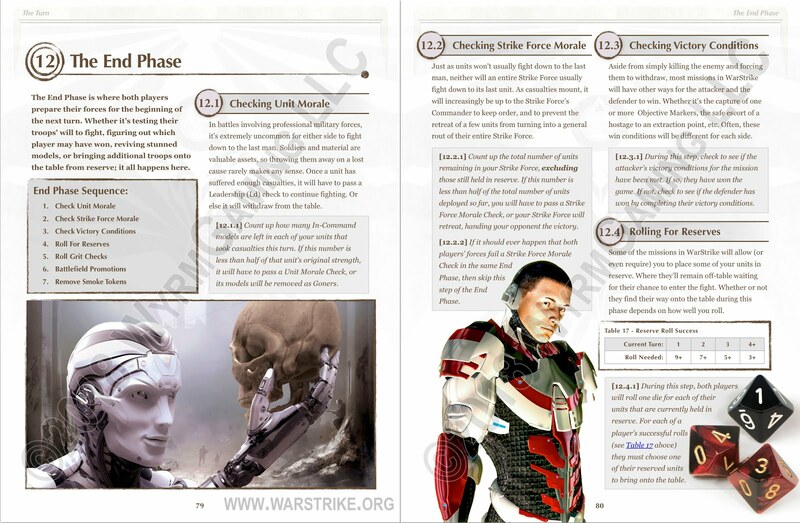 Oh, and the illustrations are a lot more sci-fi looking now. There's that too. As I was finishing up the Movement Phase revamp today, I realized that I hadn't shown you the changes to the Observation section yet. Thought I'd check in with an update to what I've been doing with reserves. 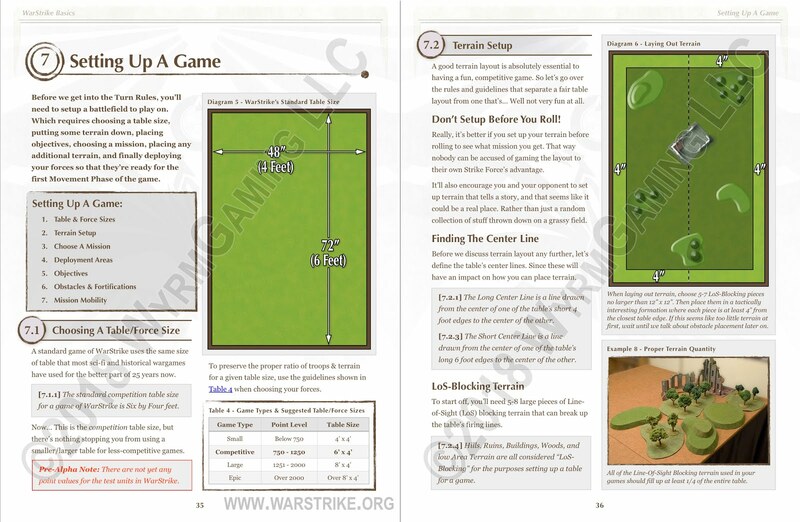 First up, we have a new page added to the "Setting Up A Game" section, which you can see above. It defines the four types of reserves, and how they're put into reserve in the first place. Photography test setup in my modeling room. I'm still working on the next Pre-Alpha release, it's just been delayed a bit by my son's birthday, the end of the school year, and some more extensive editing than I'd anticipated. But... I did discover a solution to a problem that had been bugging me, so I thought I'd do a quick post on that. At some point relatively soon, I'm going to need to produce sets of introductory gameplay videos. But how would I do that? 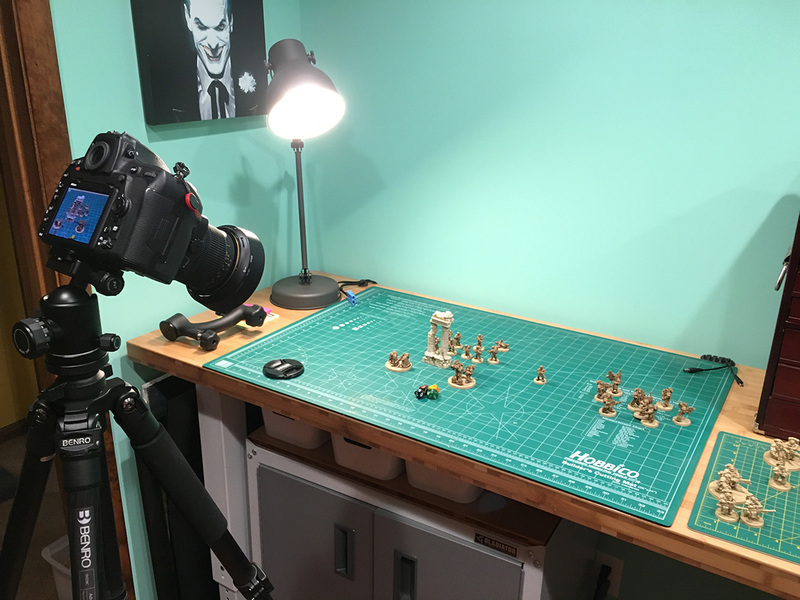 It's not enough to simply aim a camera at a table and hit record, because some things on that table would be in focus, and others wouldn't. The solution, as it turns out, is rather interesting, and uses some tech that was originally developed for spy planes. Finished up the new End Phase yesterday. What's different? Yeah, on Sunday I said that I was done with the "Basic Rules" chapter. But then I decided that chapter needed a section on how to set up a battle (which was mostly done already) and that it should include the very basic "Training Day" mission. 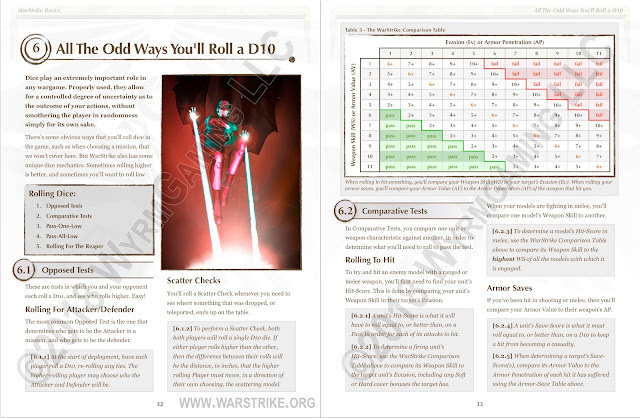 Some of the die-rolling mechanics have caused a bit of confusion for testers, particularly the concept of rolling low with one or all dice. 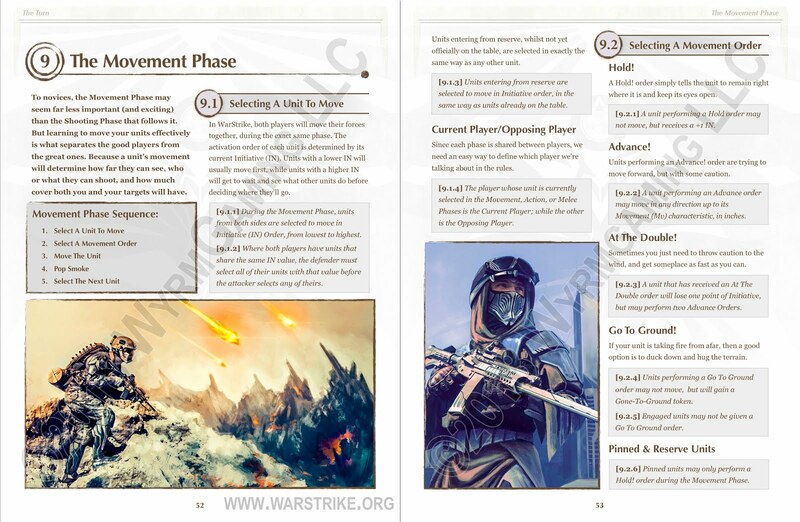 So I've pulled all of the test definitions out of the turn sections, and put them all together in the "WarStrike Basics" introductory section. So that there's one place for a player to go to compare how the various tests work. 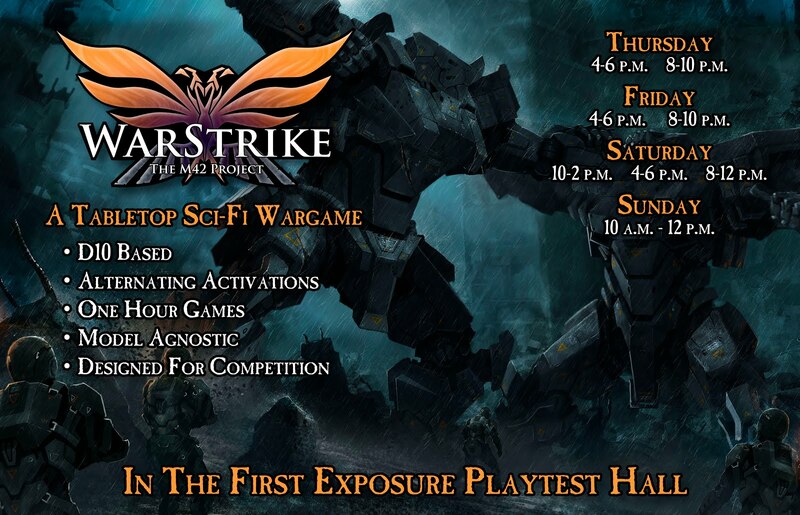 I've just received confirmation that WarStrike is a go for the First Exposure Playtest Hall. I don't have a schedule yet, but if our time is distributed evenly, then we'll be testing for 4 hours each day of Gencon! I've been a busy beaver these last few days. Deleting lots of rules that we don't need, adding a few that we do, and working on presenting some of the new/odd things in our game that players won't be used to from playing other games, and dealing with bad rules interactions that Stelek has helped me find. The next Pre-Alpha PDF release is going to be quite different indeed. Ok, so I was making notes in iBooks Author for the relatively simple rules tweaks that I was planning to make as a result of last weekend's testing. But as I was doing that, I thought back to the demos I'd just done, and what players had stumbled over conceptually. Local gamer Alex Fetts after winning a VERY enjoyable game of WarStrike. 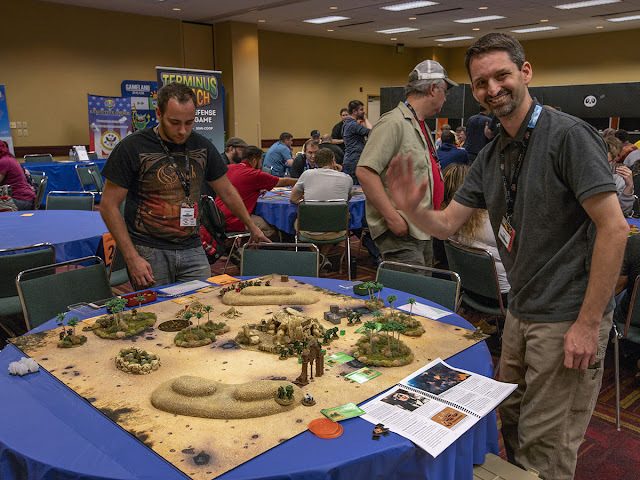 I spent 16 hours at Family Time Games this past weekend, where I ran 5 games of WarStrike, and 7 quick gameplay introductions, to various past and present 40K players. The results were extremely encouraging. With a solid majority of the players not only liking the game, but actually using words like "Fantastic", and "It really feels fair" to describe the experience. I'm not quite free yet from having to deal with my father's estate, but I have been making some good progress on the game. 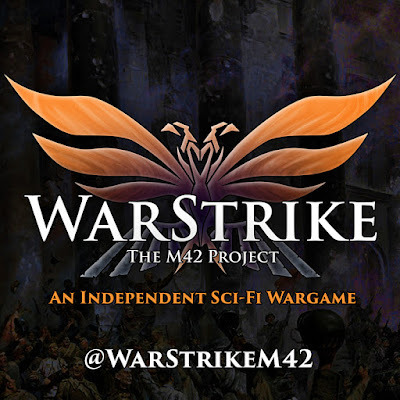 I'm glad to report that we now have the first pre-alpha release done, and it's been distributed to the WarStrike staff, and some selected local testers.